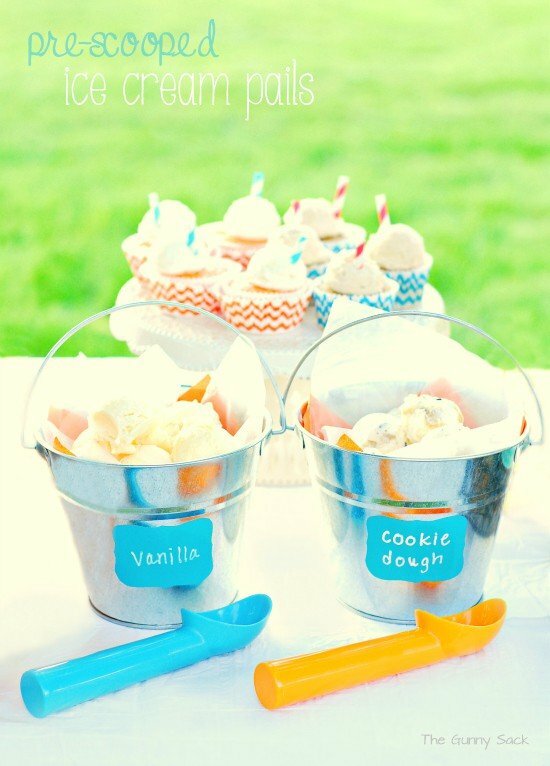 I am going to be sharing summer party ideas from the ice cream social I hosted starting with Pre-Scooped Ice Cream Pails! 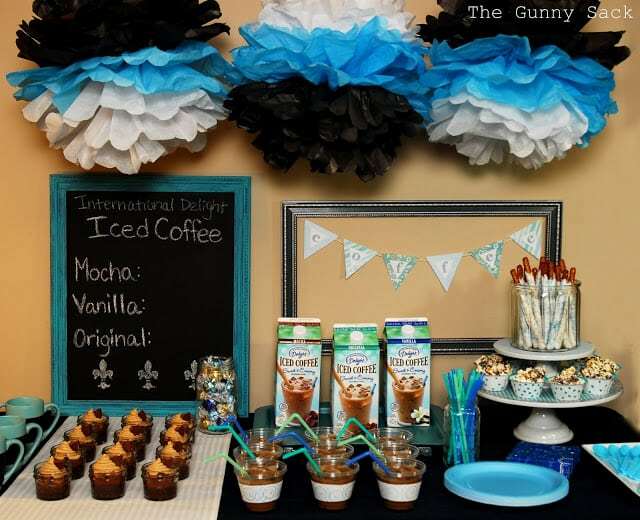 The root beer float party was a big success but there is only so much that can be jammed into one blog post before it becomes overwhelming! 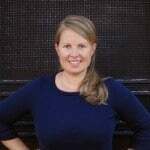 I want to share some of the party ideas and recipes from the party over the next few weeks. One of the things that was super convenient and made the line move faster were these pre-scooped ice cream pails. The scoops of ice cream were already frozen so guests just had to grab one or a few for their floats or sundaes before moving on. Earlier in the day, I lined a pan with parchment paper and put scoops of ice cream on it. After the first layer froze solid, I added a second layer. I did this with both of the ice cream flavors. While the ice cream scoops were freezing, I cut out two aqua vinyl labels and wrote the ice cream flavors on them with a paint marker. The labels were easy to remove after the party was over so the metal pails can be used for other things. I bought these metal pails at Hobby Lobby. Since I don’t think they are food safe, I lined the bucket with a colorful napkin and then added a piece of waxed paper on top of the napkin. The metal bucket liners looked cute and kept the ice cream from touching the metal. 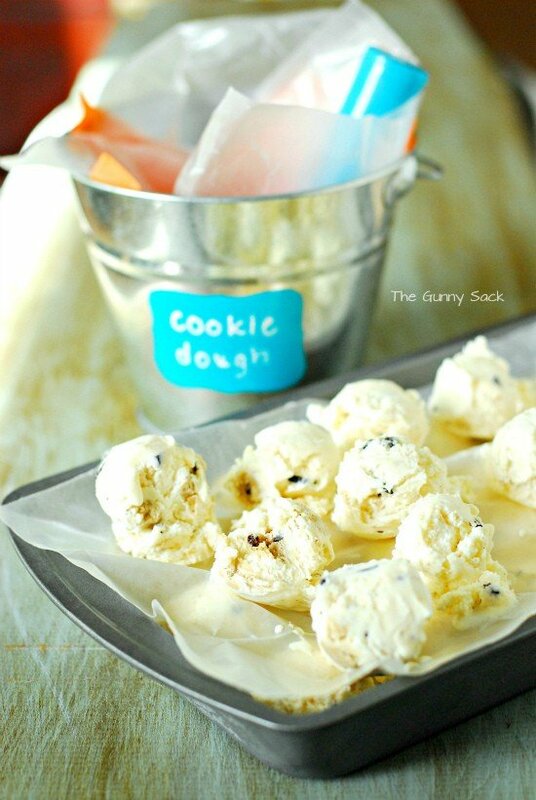 Just before serving the guest, I filled the pails with the frozen ice cream scoops. I was planning to place the metal buckets in a shallow, ice filled tray to help keep the ice cream frozen longer but I completely forgot. 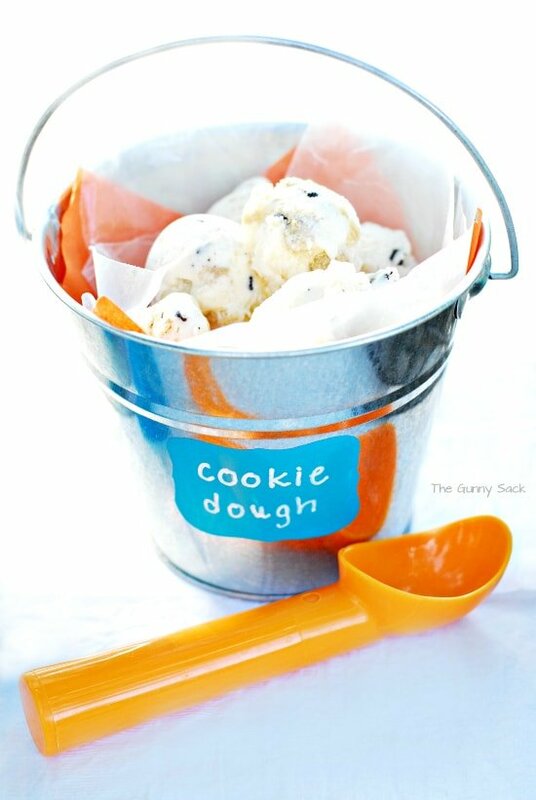 Even if the tray was shallow, I think the ice would cool the metal of the bucket and help keep the ice cream cold. 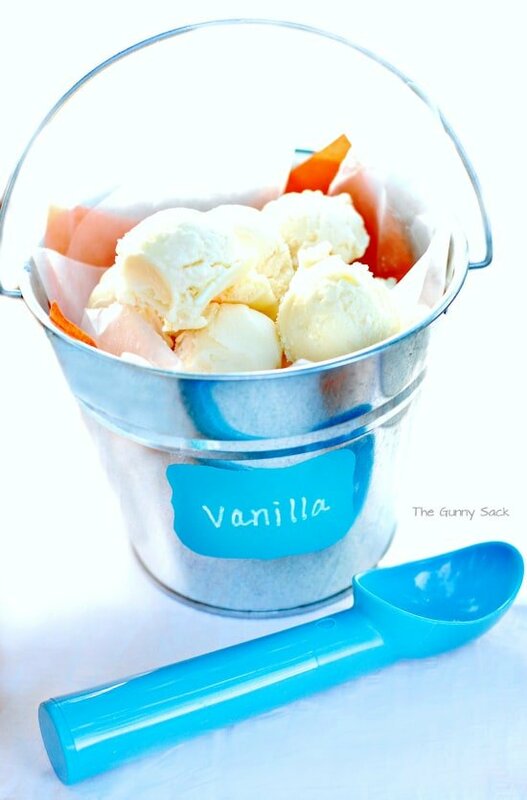 If you were hosting a party for more guests that I did, you could fill multiple small buckets and have them ready to go in the freezer! As one pail emptied, another would be ready to replace it. This is a wonderful idea! And so cute too! This is such a great idea!!!! Love it! Your ideas are awesome & the pictures are great to look at . Such wonderful ideas that you always have.